Listening to music is one of the most prevalent ways to entertain and relax ourselves in our daily life. However, a common phenomenon is that only when you have internet connection can you enjoy streaming music from websites or radio stations freely. There must be a moment you don't have internet but still want to play streaming music. Under such circumstances, what can you do to keep all favorable streaming music to your native storage device for future offline playback? You may be frustrated to look for an effective solution. To help you finding a well-pleasing answer, we here list 6 best streaming audio recorders that you can adopt to capture your steaming music, including Apple Music, Spotify, Pandora, Tidal, Last.fm, etc. on Mac and Windows and enjoy them without restriction. To record audio either from music-streaming websites or from online radio stations, it is indispensable to equip your computer with an outstanding streaming audio recorder. Enjoying high reputation from majority of users, Joyoshare Screen Recorder can be regarded as a satisfying choice for you. It has been proved the most popular video and audio recording software, which can record all kinds of audios on your PC, such as, streaming music, online radio, music games even together with system sound and microphone voice, etc. Designed with a built-in audio encorder, Joyoshare Screen Recorder is supportable to output your captured streaming audio with prevalent formats, like MP3, AAC, MAV, FLAC, M4A and M4B. Moreover, you are allowed to close system audio or microphone sound to avoid unwanted intervention. 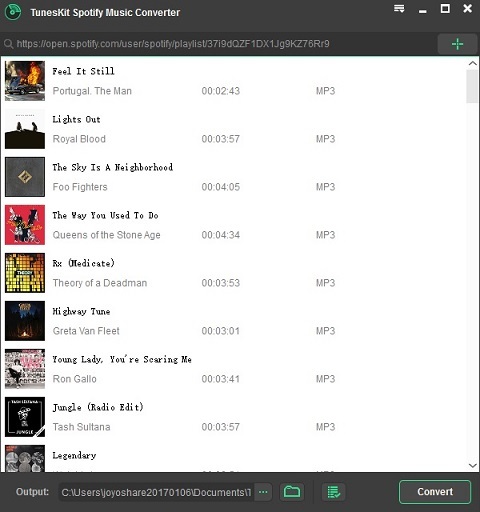 A recorded streaming music can be managed through the "History" list, locating any one you would like to edit and revising its file name. Besides, you can also add correct information to ID3 tags, including title, composer, year, album, cover, artist, etc. If you can make full use of Joyoshare Screen Recorder, you will find it full-featured, providing platform to you to create a scheduled task, choose output format, highlight cursor, etc. Of course, it can perform professionally when acts as a powerful video capture to record any screen videos. 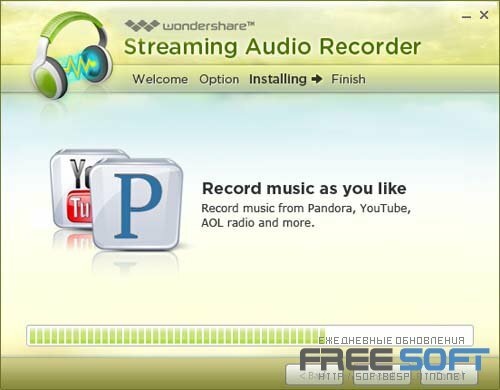 Working as a reliable and accurate streaming audio capturing program, Wondershare Streaming Audio Recorder can record and download audio from more than 500 music-streaming websites as well as online radio stations, like iTunes radio, Spotify, BBC radio, etc, which is available for both Windows and Mac operating systems. Similar to other types of streaming audio capture, audio can be recorded from audio streams and even video track. There are a wide range of output formats, for example, MP3, AAG, M4A, WMA, WAV, etc, that are fully compatible with multiple devices, including iPhone, iPad, Andriod phones, MP3 players, etc. 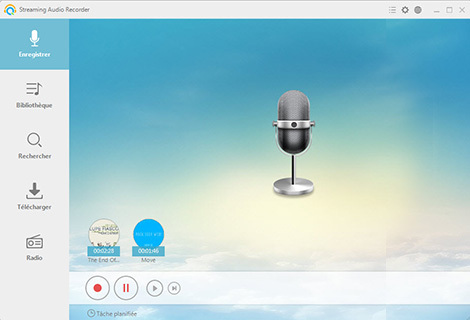 Furthermore, Wondershare Streaming Audio Recorder is developed with kinds of handy tools to make streaming audio recording personalized. It enables you to retain the original streaming audio quality, which at the same time keeps ID3 tags because of its built-in automatic music tagger. What's more, it can help you to filter out ads from your recording sessions and permit you to preset a scheduled time to capture audio. Any recorded audio streams can be added to your existing iTunes library. However, its layout is not straightforward enough, causing users to follow a tutorial to know how to use it comprehensively. Being simple and open source, Audacity is a freeware aiming at recording and editing streaming audios from music-streaming websites. There are numerous digital effects as well as plug-ins, giving you a hand to edit your recorded audio stream with personal style, for instance, reverse, fade in and out, amplify, echo, bass, etc. Nevertheless, 64 bits VST audio effect plug-ins cannot be supported. Besides, Audacity comes with great compatibility so that it is available for Windows, Mac OS X, Linux and other operating systems. As long as you have this special requirement, it is accessible to convert file types, combine streaming music and create playlists. Other functions like recording multiple channels, scheduling capturing, recording audio at series of sample rates along with setting up multi-track recordings can be realized by yourself on the basis of your needs. Additionally, you should clear about the inability of Audacity to import and export WMA, ACS, AAC and other formats. High quality as your streaming audio recording is, it relies on your computers' sound cast as well as microphone specification. Available for Windows, Mac OS X, Linux and other operating systems. Cannot support importing and exporting WMA, AAC, ACS, etc. Regarded as not only a practical Spotify music downloader but also an effective speedy recorder, TunesKit Music Converter for Spotify is mainly developed to pay more attention to Spotify, which assists you to record streaming Spotify music at 5X faster speed with lossless quality. Showing a clear and user-friendly interface, TunesKit Music Converter for Spotify can operate well with wonderful performance. Meanwhile, Spotify music can be downloaded used for conversion to MP3, AAC, WAV, FLAC, M4A, M4B. What is worth mentioning is that TunesKit Music Converter for Spotify comes with an outstanding function, which enables you to organize recorded streaming music library by artists and albums. Apart from that, you can enjoy free lifelong software upgrade. 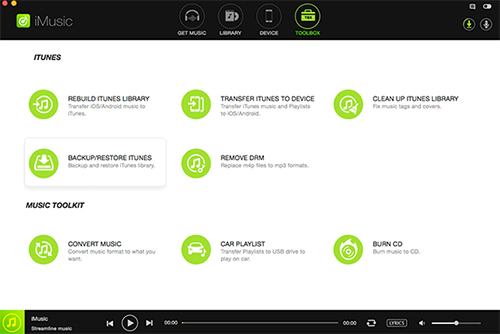 Each music that is streamed from Spotify can be captured by getting rid of DRM limitation so that you can enjoy it on any other device for offline playback, such as, iPhone, car player, MP3 player and so on. What's more, you are entitled to keep original ID3 tags, meaning that tags like title, album, genre, artist, etc, can be synced automatically. One issue that your may concern is that TunesKit Music Converter for Spotify can work well with both Windows and Mac OS X.
Apowersoft Streaming Audio Recorder is a fairly dedicated streaming audio capturing tool, which can be utilized to record audios from streaming music sites, radio stations, media players, video platforms, audio chats, microphone devices, etc. It includes full supports for output captured audio streams to a wide variety of formats, like WAV, AAC, MP3, FLAC and OGG, which can be played on iOS and Andriod devices as well as exported to iTunes. Amazingly, Apowersoft Streaming Audio Recorder can be treated as different tools. You can take advantage of it to record your streaming audio, edit captured audio stream, burn streaming music to CD and convert audio track. Some advantageous functions also specially designed to satisfy users' requirements, including scheduling a streaming audio recording, converting audio files to available formats, editing ID3 tags, etc. Most important, Apowersoft Streaming Audio Recorder comes with a video to MP3 converter. What you have to do is just enter a YouTube URL to convert streaming video to MP3. Except we mentioned, you have right to merge and add effects to audio with a built-in editor. With an intuitive interface, iSkysoft iMusic is composed of abundant features that are convenient for you to operate. You can download and record streaming music from any websites and online radios, which is same as other streaming audio recorders. Just entering music websites URLs, you can directly download streaming music. Alternatively, iSkysoft iMusic has both Windows and Mac version, on the purpose of facilitating your digital life better. If there are lots of ads that full with your streaming site screen, don't worry because iSkysoft iMusic can filter them out easily. As an all-in-one streaming music capture, it allows you to transfer music from iPhone, iPod, iPad as well as Andriod devices to your own PC and iTunes library, with which you can organize, backup and clean up your recorded streaming music with no efforts. iSkysoft iMusic is capable of burning music to CD with just one click as well. However, it is designed with limited formats, MP3 and MP4 and has no solution to transfer Apple Music. With the fierce competition increasing, it is better for you to make carefully comparison from all aspects to choose the best streaming audio recorder. 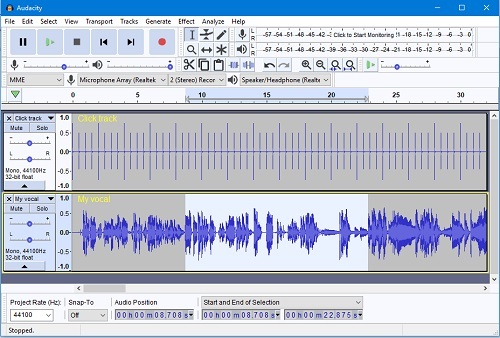 If you want to find one with great compatibility, Audacity is suitable streaming audio capture considering it is available for Windows, Mac OS X, Linux and other operating systems. 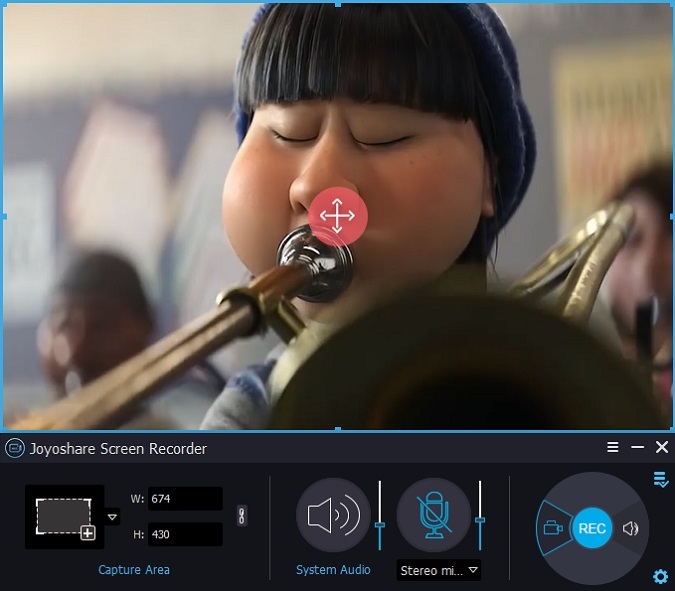 If you'd like to use a full-feature recording tool to capture your streaming audio, Joyoshare Screen Recorder can be put on the priority, which is made up of colorful settings to let you customize your own recording. Without doubt, no matter which streaming audio software you decide to choose, it should fit for what you want.